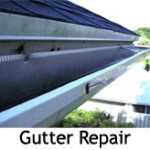 All Gutter Systems provides skilled service and the best materials on the market. 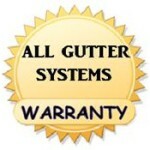 Below are some of the Window & Door Screen Materials available. Fiberglass – Is the most common type of window and door screening; Fiberglass is woven from glass yarn and coated with a protective vinyl to ensure lasting beauty, color and flexibility. There are a number of different types of Fiberglass window screen products that you can choose from to ensure the best result for your intended use. BetterVue® – Combines excellent visibility from the inside (improving the view) while providing excellent insect protection due to 30% smaller openings than standard screen. BetterVue allows for better curb appeal when viewing windows from the street, and improved airflow as a result of increased openness in the mesh. This is an excellent screening product for Coastal Regions. UltraVue® – Does for windows and doors what high-definition technology has done for television viewing; it maximizes the view by making it sharper and more brilliant. UltraVue’s finer mesh has been engineered to allow better airflow and improved insect protection while maintaining strength and durability. 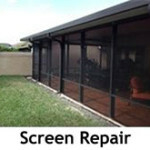 No-See-Um Screen – This specialty screen is intended to provide the best protection from small insects. Even though it’s more tightly woven, No-See-Um screening still provides good ventilation and visibility while providing some daytime privacy. 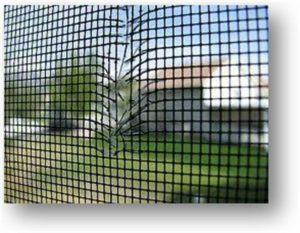 The mesh count (threads per square inch) is 20 x 20 as compared to the standard 18 x 14 mesh insect screens. SunTex® – SunTex is a unique woven screen mesh that can block 80-90% of the sun’s hot rays before they enter your windows. 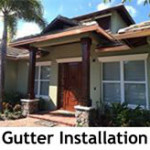 SunTex is ideal for use as a shading fabric on windows, doors and porches and offers good ventilation. This heavy-duty fabric made of strong vinyl-coated polyester is also resistant to pet damage.